The Cambro CPU244272V4480 Camshelving® Premium shelving unit comes with four shelf plates that each hold 800 pounds of product. These shelves are connected to the posts by eight traverses that are held by molded-in dovetails for additional support. The traverses can be raised and lowered in increments of 4 inches, so the shelves can hold a variety of products with different heights. Since this Cambro CPU244272V4480 shelving unit is safe in temperatures from -36 to 190 degrees Fahrenheit, it can be used in a variety of food service applications. 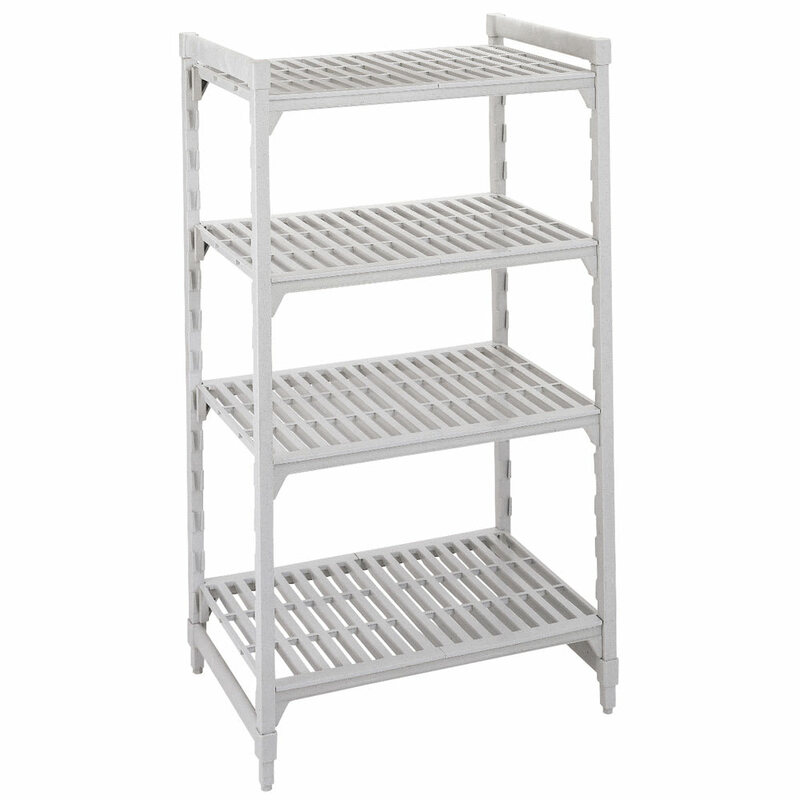 It is perfect for dry storage, warewashing rooms, coolers, and freezers. To maximize storage areas, add-on shelving units can be attached to the posts of this unit. 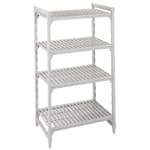 Trying to decide between plastic and metal shelving units? Find features and benefits of plastic in the explainer on plastic shelving.